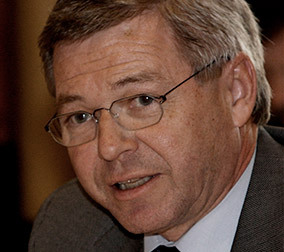 Kjell Magne Bondevik, member of World Leadership Alliance - Club de Madrid (WLA-CdM) and former PM of Norway, will lead a mission to Kyrgyzstan on Wednesday 20 that seeks to promote democratic reform in the country. During his stay, PM Bondevik will meet several governmental ministers, including PM Abulgaziyev, and participate in the National Conference on the Implementation of the Economic Rights of Disabled People, where a concensus-based Roadmap for Reform will be presented and discussed among the different stakeholders. The former PM of Norway will support the efforts of local organization Center for Policy Initiatives (CPI), which promotes democratic reform in Kyrgyzstan. Prime Minister Bondevik’s mission is organised within the framework of INSPIRED+, a policy dialogue initiative that is funded by the European Union. This shared effort seeks to raise awareness on the shortcomings of the current regulatory framework in relation to the economic rights of persons with disabilities and will gather different actors, including the Kyrgyz authorities, into a dialogue process that expands on the rights of the collective. Up to 178,000 disabled persons - the ones that are officially registered in Kyrgyzstan - feel isolated from society due to insufficient legislation protecting their rights. While the Kyrgyz legal code already targets people with disabilities, the law is not implemented effectively enough as to have a meaningful impact on their economic inclusion. On Wednesday 20, PM Bondevik will participate in the National Conference on the Implementation of the Economic Rights of Disabled People and on Thursday 21 he will meet with Prime Minister Muhammetkaliy Abulgaziyev, some Members of Parliament and have dinner with the Rotary Club; among other activities.